Galvanized steel is a durable metal designed to resist corrosion. To galvanize steel, a protective coating of zinc oxide is applied by either spraying the part with a thin coat of zinc, or dipping the steel in a molten zinc bath. Galvanized steel is ideal for marine and industrial applications, due to its salt and water repellant properties. 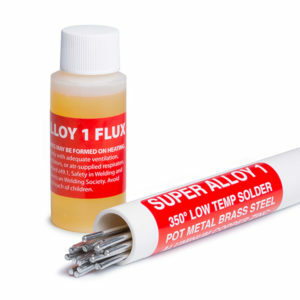 In this video, a 1/8 inch gap is filled using Super Alloy 1 rod and flux, and a propane torch. 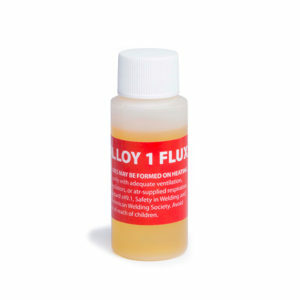 Super Alloy 1 has melting point of 350°F, which allows for a low temperature repair without damaging the existing zinc coating.